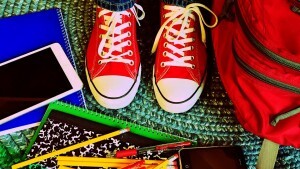 An organized backpack can actually help your child's academic efforts. Not to mention, if they keep their backpack tidy, it's less likely that they'll strain their back when they're carrying it around. For tips on how to help your child organize their backpack, continue reading. You should start with finding the right backpack for your child. Make sure that it is fit for their body, that it has two padded straps, it has enough room for their things, and that has different pockets to help them stay organized. The next step is creating an organization system that your child can follow. For example, they can arrange things by size or in the order they'll be needing them. Keep in mind, however, that heavier items should be placed in the back to stressing out your child's body. Your child could strain their back if they carry every single item they own in the backpack. That's why it's recommended that you help them pack their bags each night with the necessary items for the next school day. Your child could lose their smaller school supplies more easily if they don't have a place for them. For that reason, provide a pencil case or small pouch where they can keep their pencils, erasers, sharpeners, and other similar items. Lastly, you should help your child give their backpack a deep clean at least once a month. They can keep a lot of trash in there, which could make it messy and heavier. If your child requires academic assistance and support, contact The Tutoring Center, Friendswood TX. Call (281) 488-0101 to enroll them in tutoring in one-to-one Friendswood TX, or to schedule a free diagnostic assessment.